Last week I posted a quote on Facebook asking what you would look like if you stared into a mirror and saw your character instead of your face. It’s an interesting concept. After all, don’t we have a habit of hiding the real “us” in front of others? But God knows what we are like inside. Colossians 3:12-14 says, Therefore, as God’s chosen people, holy and dearly loved, clothe yourselves with compassion, kindness, humility, gentleness and patience. Bear with each other and forgive one another if any of you has a grievance against someone. Forgive as the Lord forgave you. And over all these virtues put on love, which binds them all together in perfect unity. What exactly would these things look like if we were to see them daily? All you need to do is look to see the faces of people with these qualities. 1. Compassion: Someone who works in a homeless shelter or with special needs children. This is a strong requirement. 2. Kindness: A restaurant patron who anonymously pays for the meal of that busy mother whose children are giving her trouble. Most people would rather give dirty looks or complain. 3. Humility: Not taking full credit, but giving it to the rest of your team and God. After all, without them, would you have gotten the task done? 4. Gentleness: A mother who wipes her child’s face of tears or pretty much anyone who works in hospice care. 5. 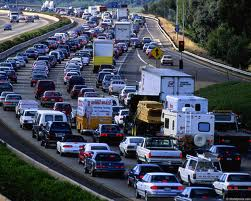 Patience: Someone stuck in a traffic jam who chooses to enjoy the music on the radio instead of grumbling and complaining. 6. Forgiveness: Someone who forgives the man who cut into line at the grocery, or a child who forgives a parent never around during their childhood. These are all examples of what God wants us to look like on the inside. He doesn’t care whether we have name-brand clothing or how good our make-up looks. He cares about what’s inside and how we treat others.